Preparing business taxes is not a simple thing to do, even if you are a sole proprietor. Depending on how your business is set up, you may have to file different schedules. If you are a partnership, you don’t file taxes—you file an information return. Self-employed usually file Schedule SE and other types of businesses have other types of forms to file. Additionally, you may be required to file additional forms. For example, if your business rents out a home, you may have to file a Schedule E. Below are our 5 tips on how to prepare your business taxes with an attorney. Before you make your appointment, be sure you have all the business documents you need. 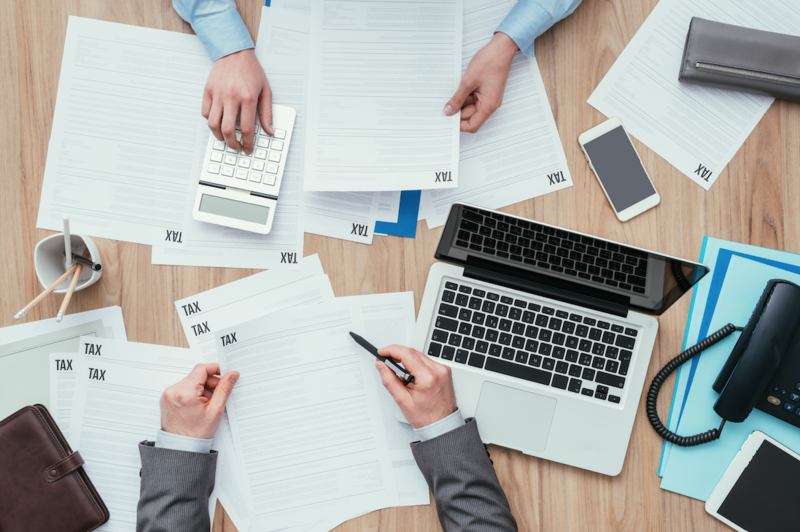 Because different entities file differently, the attorney will need to know which type of entity your business is in order to file the proper tax documents. You’ll need a copy of documents such as a partnership agreement or operating agreement, especially if you have several members, board members and/or employees. If you have a limited liability company that offers distributions, you will need the operating agreement as it spells out how distributions are handled. You will also need the members’ names and contact information, along with the amount of distributions they received, if any. You will need receipts for all of your purchases. Keep them in separate piles, ordered by date. You should have a pile of receipts for office supplies, equipment, advertising, cleaning supplies and other items you may have purchased. The expense section of a business tax return asks for the amount spent on certain items. Additionally, you will need receipts for business entertainment expenses such as meals with clients. Additionally, if you have rentals, you’ll need the amount of rent collected for each rental and the expenses for each property. Expenses may include advertising for a new tenant, cleaning between tenants, repairs you made to the rental while the tenant was still in the home and repairs you made in getting ready for a new tenant. Other expenses may include lawn maintenance, pool maintenance and general property maintenance. These expenses are separate from the expenses for your business office or home office. Gather receipts you have for donations. You will also need a copy of each entity’s 501(c)(3) or other non-profit designation. In order to claim donations, the entity you donated to must be non-profit. You should also keep a copy of the companies’ non-profit documentation for yourself. If you donate items, the cost of the donation should reflect what you could have purchased that item for if you were to buy it used. Most equipment, vehicles and other large purchases are eligible for depreciation. To claim depreciation, you’ll need the dates the equipment was put into service and whether it was purchased new or used. Additionally, you will need to know how much interest you paid out on real property used for a business. In some cases, interest is deductible. You should get a Form 1098 for this. If not, you should be able to find the amount on the last statement for the year. If you have a home business that you run as a sole proprietor, you will need all of your business expenses plus all the expenses for your home, including utilities, maintenance, upgrades and other monies you put into your home. While the tax laws have changed significantly for 2018, you may still be able to claim some of these things for the home office. Repairs and upgrade do not have to be for the home office. You will also need the total square footage of your home and the square footage of your home office. This is how the IRS figures the percentage of expenses and depreciation to apply to your home office business. When you are ready to file your business taxes, contact France Law to set up an appointment to have our tax attorneys help you with your business taxes.